The Level 4 Award in Managing Food Safety in Catering is a qualification for managers working in a catering environment. The qualification is intended for candidates already working in catering and those who are preparing to work in the industry and whose job requires them to have some responsibility for food safety. Candidates are likely to have management responsibilities for an operational team. The qualification is based on the Level 4 National Occupational Standards developed by Improve the Sector Skills Council for the Food and Drink Manufacturing Industry. 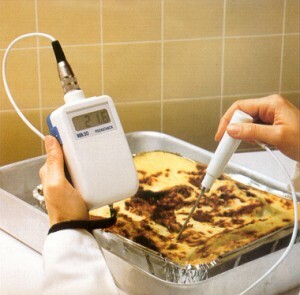 Introduction to Food Safety and Contamination. Microbiology (Multiplication & Survival Hazards). Food Handlers and Personal Hygiene. Food Hazards and Controls from Purchase to Service. The Design and Construction of Food Premises and Equipment. Food Safety Management and HACCP. The Role of the Manager. Food Safety Legislation and Enforcement. We run courses in house or at our training centres in Lincoln and Grimsby in Lincolnshire. We also run open courses regularly for individuals or businesses needing to train single employees. Click here to download advanced food hygiene syllabus.